Primero vayamos a la descripción técnica. The Courtauld Talks fue una charla que dio Jaz Coleman junto a Geordie Walker y Jeff Scantlebury acompañando en guitarra y percusión en el Instituto Courtauld de Arte, el 19 de Septiembre de 1987. Para el que le da paja abrir el Google, el Instituto Courtauld es una escuela de arte de Londres, que alberga obras de pintores como Vincent van Gogh, Paul Gauguin, Edouard Manet y hasta ha tenido el dudoso honor (bue, un deshonor digamos) de haber albergado a Hugh Grant como alumno antes de que se dedique a levantar prostitutas por la calle en lugar de darle murra a su superhot noviecita. Data irrelevante de lado, podemos proceder a comentar algunos aspectos de este disco. El mismo consta de un track de un poco más de una hora de duración durante la cual el buen Coleman da un discurso en el que toca varios tópicos, entre ellos la concepción de Killing Joke, su idea del arte y algunas explicaciones esotéricas sobre la relación del mismo con el mundo (numerología, Crowley y Lovecraft de por medio incluidos), acompañado de fondo por Walker en guitarra acústica y Scantlebury en percusión, ambos músicos nunca tomando el rol principal durante la charla, la cual es guiada por Coleman en todo momento. 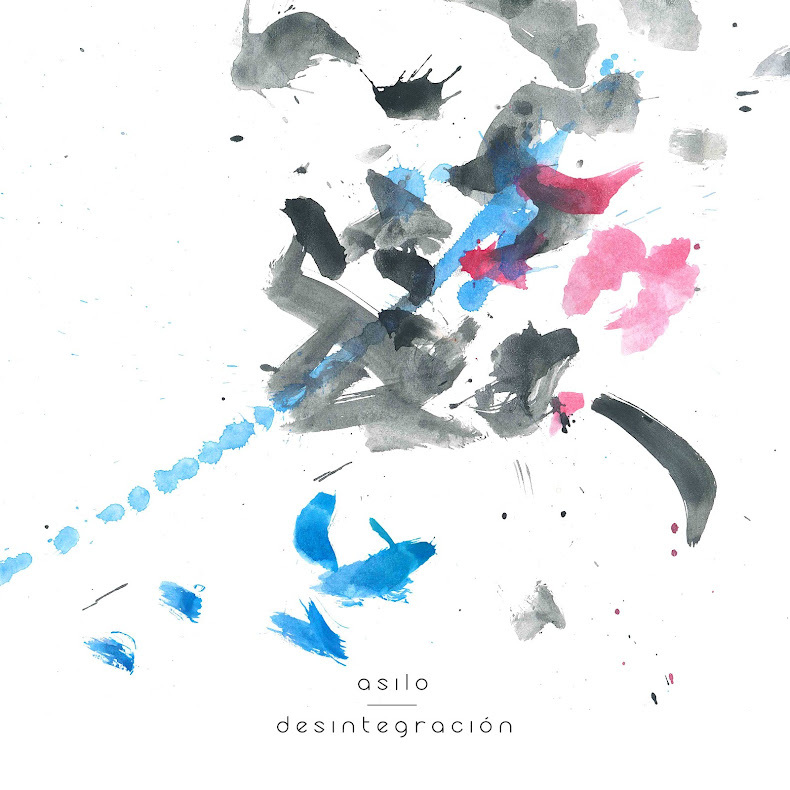 Pero permítanme explayarme un poco en el tema sobre lo que cuenta el susodicho cantante de banda post-punk proto-industrial híper influyente. "The man of truth is beyond good and evil. The man of truth is ridden to all is one. The man of truth has learned that illusion is the one reality and its substance is a great impostor." H. P. Lovecraft. Throughout my forthcoming book, "An Irrational Domain", I work from the fundamental assumption that for the artist dreams and visions are a more authentic source of information than fact or reason. Now this hypothesis has steadily evolved to the extent that it is no longer merely a conviction but my perception of truth itself. Consequently, all activity derived from such foundations cannot coexist with any form of rationalist or intentive thought. The primary objective is to set everything in motion in the required direction. For example, existing concepts of time are only real if we accept and succumb to the boundaries and divisions laid down. I'm simply pointing out that we do of course have the option to ritually smash the clock up along with its corresponding restrictions and transform, extend, increase or decrease such boundaries, enabling us to achieve a greater freedom by changing our perspective of truth and reason. We may conclude that, if truth as we see it to be, can be rearranged to benefit us in any way, then this flexible truth is justified. The same would apply in the eradication of supposed historic fact. Basado quizás en este concepto que plantea en un principio de que el uso de la razón para explicar la realidad puede ser dejado de lado, quizás sea posible entender cómo es que Coleman busca, indagando en argumentos esotéricos totalmente carentes de sentido y bordeando lo ridículo, explorar hechos concretos de nuestra vida diaria. Y no creamos que el tipo cae irremediablemente en la pelotudez, como es muy común en todo argumento metafísico/mágico/religioso. No señores/as, los conceptos planteados son tan lúcidos y concretos que uno se pregunta hasta qué punto Coleman está hablando realmente en serio y si esto no es un juego mental que él mismo arma con su audiencia. Es muy difícil saber sus intenciones, Coleman siempre se ha caracterizado por ser una persona extremadamente críptica, pero a su vez directa. Cualquiera que haya leído una letra o escuchado una canción de Killing Joke, se dará cuenta de que se trata el mensaje, al menos en una primera lectura del mismo, el cual siempre es muy claro. Pero esta forma de transmitir los pensamientos que tiene Coleman mediante argumentos irracionales deja entreabierta la posibilidad para infinitas interpretaciones, todas de ellas válidas e igual de lúcidas e interesantes. Quiero citar algunos pasajes de su obra como el párrafo anterior que acabo de mencionar, a ver si ud. lector puede entender mi punto, y quizás hasta entender cómo logra este efecto tan extraño. Yo creo que va mucho más allá de la inteligencia y el carisma de los que, ya sabemos, Coleman dispone y de sobra. Now, in accepting the endless possibilities of the irrational domain we can evoke a chosen picture of the past to influence the present and future. The rejection or alteration of conventional perception of measurement, fact, time and reason can shatter restrictive barriers and open up frightening possibilities. To illustrate the point, an elementary annihilation of the assumption that Columbus was the first navigator across the Atlantic changes the entire Western concept of civilisation. Again, should we choose a certain axiom as a starting point, we do so regardless of so called fact or reason. Y así Coleman nos pone en tema. Quisiera saltearme algunos párrafos (todo aquel interesado puede leer la charla entera aquí o puede escuchar el disco, aunque el mismo no ha sido editado en Argentina lamentablemente) para pasar a lo que, a efectos de esta humilde y poco abarcativa review, creo que es lo más interesante/importante. We firmly believed that by employing a reversal of this process, true progress could commence. Now, this was far from a contemporary ploy but a utilisation resembling a healing therapy of antiquity. Now, let me explain: the fundamentals of such performance are clearly routed in the venerable healing magic of the ancients, I assure you. Central to this very old form of therapy is the idea that if you suffer from the underworld you can only be cured in the underworld. Underworld. It is a homeopathic principle. The cure for a sickness is accomplished by dosing the patient with minute quantities of substances which in larger doses would actually create the very symptoms of the sickness. Such a cure for a sickness involves experiencing a little of the essence of sickness. The initial symptoms have escalated into a monstrous plague. It does not require much imagination to locate the underworld within a scarred, butchered landscape. Industrial wasteland, inhumane concrete hovels, resembling rabbit hutches stacked up on top of one another. Created specifically for maximum capacity at minimum expenditure. Grotesque Judeo-Christian compassion exposed in its truest form, directly reflected in the environment. Homes for the common people that have been consciously designed to perpetuate an ignorance, clearly intended to be left at their own devices within controlled surroundings. Those individuals who are either insensitive or too weak-willed to command and control their immediate environment are collectively housed. Widespread mediocrity in its most terminal context eliminating even the human dignity of a slave, I believe. You go to Sheffield; we'll go to Sheffield. Let's take a look around Sheffield. Take a good look! Drained, soul-less young men and women drastically alienated from the natural order over-compensating in puerile fantasy, debauchery games and various trivia encouraged by ... consumerism. That which remains of the instinct unconsciously anticipates the absolute horror of mass annihilation, vast and impersonal. Envisaging themselves so disgustingly humiliated by their own vulnerability, powerless to react, powerless to react on any defensive or significant basis. A collective nightmare of the day, you know the day, when looting, pillage and screaming insanity reigns. A hideous prelude of pure terror concentrated within the boundaries of minutes, seconds. Man suffering the indignity of resembling panic-stricken battery chickens awaiting slaughter, pathetically running 'round in circles at random. Decisions determined in the lives of billions made exclusively by microchips impregnated and programmed with the epitome of rational thought. You can imagine the irony of the dilemma. Absolute conflict. Destruction and mega-deaths are logical and imperative assumptions. Overpopulation at loggerheads with human compassion. The hygiene of conventional war obliterated by the escalation of technology thus all reason made obsolete and redundant by the rationalist himself. Mass unemployment also caused by rapid development of technology. Manpower no longer economically viable. Abandoned industrial areas claiming a greater surface area than farmland, thus only enough harvest produce to feed one eighth of the existing population. Nations ideologically opposed to one another dependent on each other for existence, import, export, mutually assured destruction, M.A.D. Foreign policies based on the same principles evident in the period of time prior to the second World War, now applied in this temporary stage of super-technology. Now, I think we'll both agree, I think we'll all agree that such extreme pressures of the decade seem to almost transform human awareness into a curse. Yet, we still find perspective within the primal performance that embodies such extremities or should I say sicknesses? I believe it is necessary to look beyond the face value of such seemingly horrific events. Extremities that we observe on a daily basis must be viewed as a link or a transition. 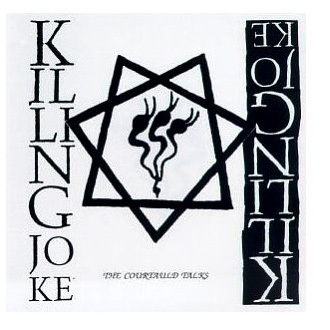 One cannot bypass initiation, thus the work of Killing Joke becomes considerably more coherent when seen in terms of a generator musically suggesting such a process. ¿Teorías conspirativas? ¿Paranoia global? Permítame disentir. Esto no es más que una mera descripción de la realidad (bueno, excepto lo de los implantes en microchip, ya que recién ahora la bioelectrónica ha llegado a dar algún resultado, aunque todavía años luz de microprocesadores biológicos… ni hablar en 1987), y he optado por incluir esta descripción casi completa en esta review porque sinceramente no tiene desperdicios. ¿El punto de todo esto? Creo que lo expresa claramente en el último párrafo de la sección anterior. En definitiva, si este chorizo de texto, o la perorata hablada por Coleman no puede llegarle a la gente, quizás un formato más atractivo y cercano al sub-mundo del entretenimiento pueda servir a ese propósito. Y como herramienta puede funcionar mucho más eficientemente considerando las posibilidades de la difusión mediática que tiene el arte, más particularmente la música. La explicación de cuál es la fuente de toda esta negatividad, la dejo para que sea leída por todo aquel que le interese. Como dije antes, el uso de argumentos irracionales para explicar la realidad es el recurso que plantea Coleman y es aquí donde entra su juego mental con la audiencia. Su justificación de la realidad empleando conceptos como los Dioses Arquetípicos, Los Ovidados, la numerología aplicada a los ritmos musicales (no perderse la descripción que hace Coleman de una de las partes de su disco “Outside the Gate” mediante la utilización del patrón rítmico 13/12 como símbolo de la regeneración y el plutonio). Si, no creo que valga la pena transcribir esta sección, ya que irracional y metafísica como es, bien podría haber servido una de las rimas de Calamaro para generar el mismo efecto. Aún así como dije antes, recomiendo leerla para ponerse en contexto y tratar de entender el porqué Coleman cae en el uso del ocultismo para sus elucubraciones, considerando el concepto planteado al principio de la charla. So, how do we explain the prevailing trend towards self-destruction in civilisations of both the East and West? Is it, as Professor Velacovski suggests, that the terrifying memory of massive global cataclysms has been wiped from the amnesiac human psyche and that those, the collective unconscious, who refuse to understand the past are condemned eternally to repeat it. Or, I ask, is there another reason? I feel that the true answer is far simpler than Professor Velacovski suggests. Whilst his hypothesis has something, I feel the underlying answer is far more straightforward, though perhaps less attractive to the intellectual. Man's behaviour patterns when scrutinised with true objectivity force us to accept the unyielding conclusion that he is an irrational primeval beast. He needs, he needs magic and miracles to dominate his existence. His unconscious mind yearns for this. Now, it would be correct to assume that in our rational society the magic of current religious practice is no longer evident in daily life. Consequently, the unconscious habitually searches for a primal source of power worthy of marvelling at whilst retaining a one-dimensional perception corresponding to the age of reason. For example, Pascal Jordan, the great German physicist, recollects the early years of atomic research thus, and remember this well: "Everybody was filled with such tension that it almost took their breath away. The ice had been broken! It'd become more and more clear in this connection we had stumbled upon a quite unexpected and deeply embedded layer of the secrets of nature." Doctor Oppenheimer, the pioneer of the atomic bomb, also remembers: "Our understanding of atomic physics of that which we call the quantum-theory of atomic systems had its origins in the turn of the century and its great synthesis and resolutions in the 1920s. It was a heroic time, a time of earnest correspondence in the horrid conferences, of debate, of criticism and brilliant mathematical improvisation; for those who participated it was a time of creation. There was terror as well as exaltation in their new insight." Now, from these two excerpts we can deduce that there was great excitement about the discoveries taking place. The unconscious worship of power tapped through fission had already begun! Brilliant men and women who represented the quintessence of the scientific rationale were now linking their consciousness to the fantastic! An irrational domain that deified even the minds of the very acolytes responsible for its creation. "Words are inadequate tools for the job of a quantum dose not present, metaphysical, mental and psychological effects, it had to be witnessed to be realised." - General Farrel, 16th of July 1945, the Manhattan Project. 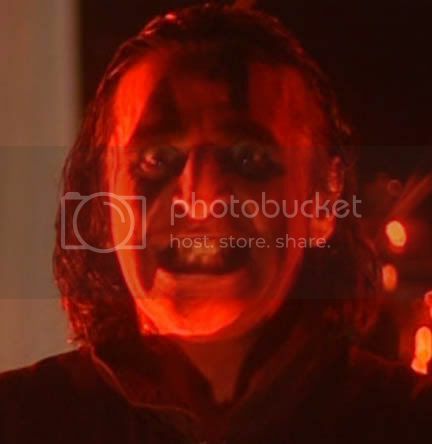 "The second coming in vengeance!" Winston Churchill on the atomic bomb. The situation, I'm speaking to you now, the situation today facing us forty or so years after the first atomic explosion at Alamogordo only reinforces my point: the collective unconscious everywhere now eagerly anticipates the return of the Old Ones. Dark aspects or gods of blind terror, pre-rational and immensely powerful. Entities we have invoked back into our existence through the portals of our very actions. Our own discovery of thermo-nuclear energy has unsealed the gateway. These dark elements of nature have already partially resumed control of the race. Where are they? I assure you will see them when you've finished this lecture. Where are they? They are evident in the mayday celebrations in Moscow and Peking as the intercontinental ballistic missiles are gloriously paraded down the street. Armaments of obliteration in all their forms have become symbols, or idols, of a rational world with which man has begun to worship bodies of unlimited power. The confusion and hypocrisy that surrounds the potential employment of these weapons only broadens the irrationality of the human psyche, for it should be known, it should be noted, that the image of the enemy remains unalterable. En definitiva el miedo es mucho más primitivo e intrínseco al ser humano que la razón, y es por eso que las primeras reacciones humanas ante estímulos muy fuertes del exterior son irracionales, tan irracionales como el miedo. He aquí el link con estos seres a los que llama “Antiguos”, que en definitiva representan el bagaje que llevamos dentro como especie parte de la evolución y esa información que es transmitida de una generación a otra en el tiempo. If I had to condense the foremost aim of my musical endeavours over the last eight years into one paragraph, I would say that it has been to create a concrete vision of the future by suggesting a spiralling recession of time. The regression of every aspect of existence to its original condition of primal substance. 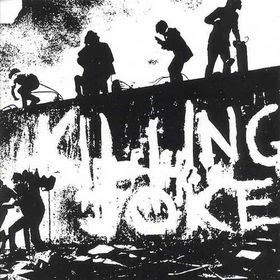 The term "killing joke" amplifies the idea of the laughter that dispels the ultimate fear of returning to our base origin. Nevertheless, we still have to learn that the climate of an age is unalterable. The changes we see before us must be recognised as natural growth, insofar as we can perceive nature or evolution to be. Therefore, no matter how we feel about the severity of such proliferation we cannot alter its direction. Therefore, one is forced to accept that all analytical breakdowns of developments are obsolete. Es decir que en definitiva la visión de Coleman está muy ligada a aquel concepto del terror cósmico que planteaba Lovecraft, ese que decía que nuestro destino no está en nuestras manos, ni en las manos de un dios compasivo y benévolo. Nuestro destino es la condena del caos, determinado por supuestos entes absolutamente amorales y mucho más primitivos que el bien y el mal. En definitiva una forma figurativa de decir que nadie controla nuestro destino, y eso incluye a nosotros mismos. Aleister Crowley, otra de las referencias mencionadas por Coleman en su charla, también plantea este concepto Lovecraftiano, pero no lo pone en términos pesimistas, sino como una de las características esenciales de la existencia, a la cual no deberíamos temerle sino tomarla como un desafío. Como dijimos antes, el miedo es irracional sobre todo el miedo a lo desconocido y lo que está fuera de nuestro control, lo que Lovecraft plantea en su “horror cósmico”, puede ser de hecho tomado como algo inevitable y que ni siquiera debería ser juzgado como bueno o malo. Este proceso de revertir el tiempo, también es usado por Coleman para trazar proyecciones en el futuro, y obtener algunas conclusiones bastante interesantes sobre como podría preverse el holocausto de la humanidad según las prospecciones apocalíptico-nucleares que se esgrimían a mediados de los 80’s. De nuevo, no quiero transcribir aquí este argumento, aunque si recomiendo leerlo/escucharlo ya que es uno de los mejores ejemplos de cómo el proceso de pensamiento irracional se entremezcla con el razonamiento clásico científico para llegar a conclusiones que no tienen sentido alguno. Escucharlo hablar a Coleman a esta altura de la charla es un placer en si mismo, y es increíblemente atrapante en la forma de expresar sus argumentos: Coleman organiza esta proyección en el tiempo hacia el futuro en 10 pasos que nombra consecutivamente mediante las letras del abecedario, terminando en la J, de “Joke” (Broma). Genial, yo también ovacionaría de pie sin dudarlo. When we achieve polarity and we stand with our heads above the heavens and our feet below the hells. Stand upright. Now, much attention is given these days to the work of H. P. Lovecraft whose fictional entity seems to correlate to the major shift in global trends. Only the other day I picked up a magazine that contained an article by one Peter Smith expanding on H. P. Lovecraft and the occult tradition. He says: "Lovecraft is a particularly interesting case of transmission via dream. He violently denies the idea of the existence of occult phenomena. Nevertheless, this denial is belied by the unconscious elements of his stories, indicating a division between the rational and intuitive side of his personality. With the appearance of each story an underlying pattern becomes evident. 'All my stories'. He wrote, 'unconnected as they may be, are based on the fundamental law or legend that this world was inhabited at once time by another race who in practising, who in practising black magic lost their foothold and were expelled, yet live on the outside, ever ready to take possession of this earth again.'" Now, this is the central theme of 'The Call of Cthulhu' written in 1926. 1926 that must be about, what, 12 years before, 12 years after the Aim of Horus which happened around the year 1904. I'm to understand. Correct me if I'm wrong. Don't bother. The subject of the story is the idea that at certain times when the stars assume their correct position these dark powers can influence sensitive individuals, giving them visions of the great Old Ones or, if they resist, driving them insane. These entities exist in another dimension or vibrational level and can only enter this world through a specific window area or psychic gateway, a concept fundamental to many occult traditions. Lovecraft describes the world after the return of the Old Ones: "Mankind would become free and wild beyond good and evil with laws and morals thrown aside and all men shouting and killing and revelling in joy. Then the liberated Old Ones would teach them new ways to shout and kill and revel, and all the world would flame with a holocaust of ecstasy and freedom." There is a marked similarity in this passage to the teachings of many secret societies including the Assasins, the Gnostics and the Templars. But in particular, to the law of Thelema as expressed by Lovecraft's contemporary the very dubious character Aleister Crowley. Very dubious character! The main distinction between them, that is Lovecraft and Crowley, is a moral one. whereas Lovecraft regarded these ancient gods as essentially evil in nature, Crowley saw their return as being in full accord with the progression of aeons which means it is, and it is to be. Pesimista como suena Coleman, este juego que arma entre la broma asesina y la realidad plantea en definitiva un mensaje muy positivo. Más allá del hecho fascinante de no saber hasta qué punto Coleman le está tomando el pelo a su audiencia, de lo horrible de las predicciones de autodestrucción de la humanidad, las imágenes de decadencia que el presente mostraba en la Inglaterra de los 80’s, Coleman no nos dice otra cosa que: “despierten, usen sus cerebros, no se dejen manipular”. Lo cual no es algo nuevo para Killing Joke. Tal vez para otras bandas pero no para esta.